Dont believe anything you read, and half of what you see, here ! If a picture doesnt have the blog address as a watermark, it means it was not edited by me. Also we intentionally photoshoped these picture in a low quality photo manipulation, because we dont want anyone to repost this as the truth. Most of the article are not ours either. We edited it to be match our posts or simply for seo. Use your common sense to differentiate the truth from hoax.. we sometimes mix it all in. S-47 Berkut hunts down a Raptor. 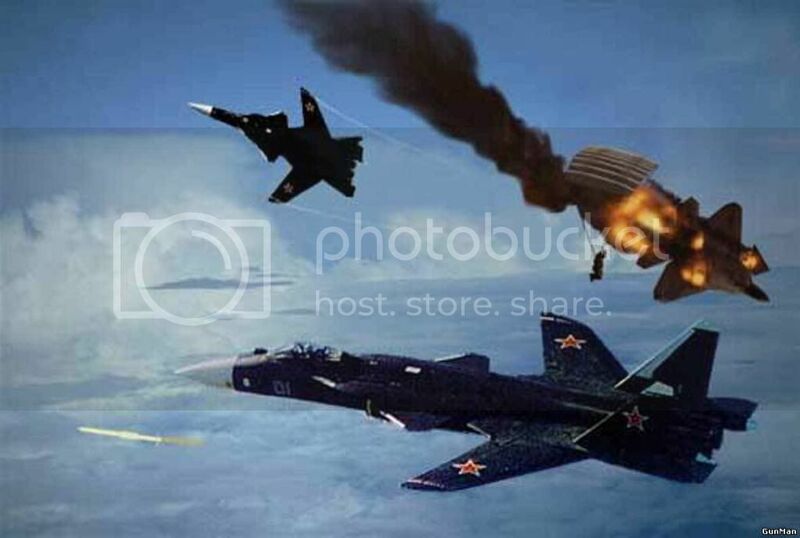 S-47 Berkut vs F/A-22 Raptor photoshopped pic by a Russian Artist. As expected , F-22 Raptor bites the dust. End of Global Hawk ? Ghufran . Simple theme. Powered by Blogger.